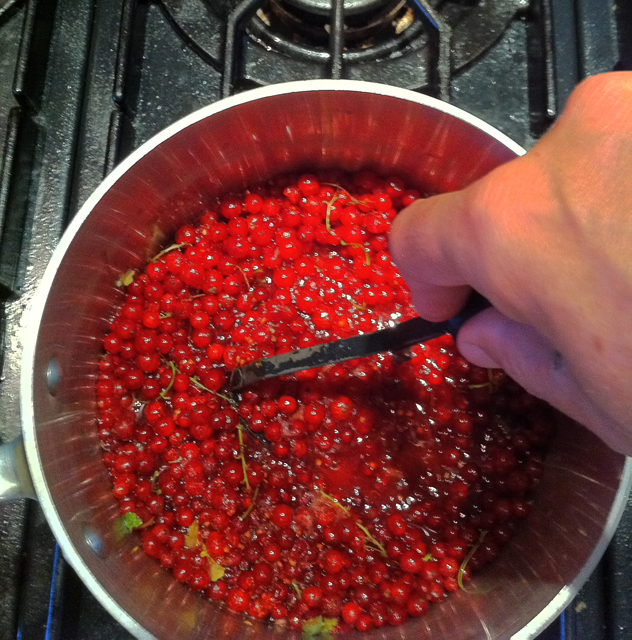 This was the first year, that I can remember that we have had red currants for over a month! Usually the birds get them! 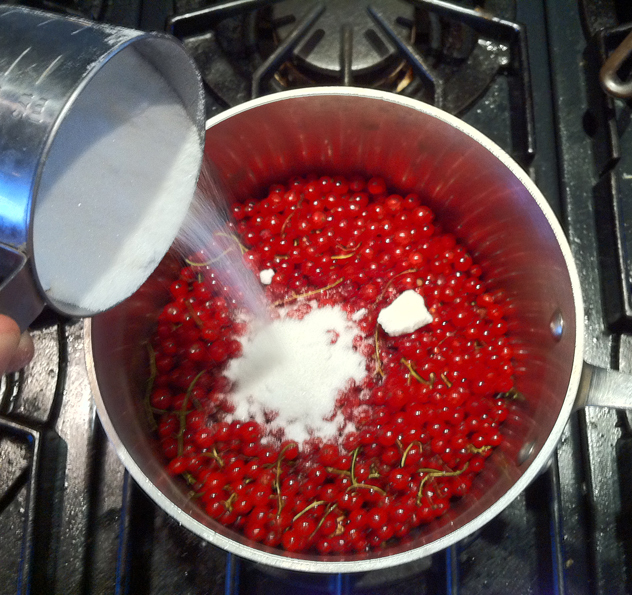 I picked a second crop and decided to make some red currant sorbet with vodka. 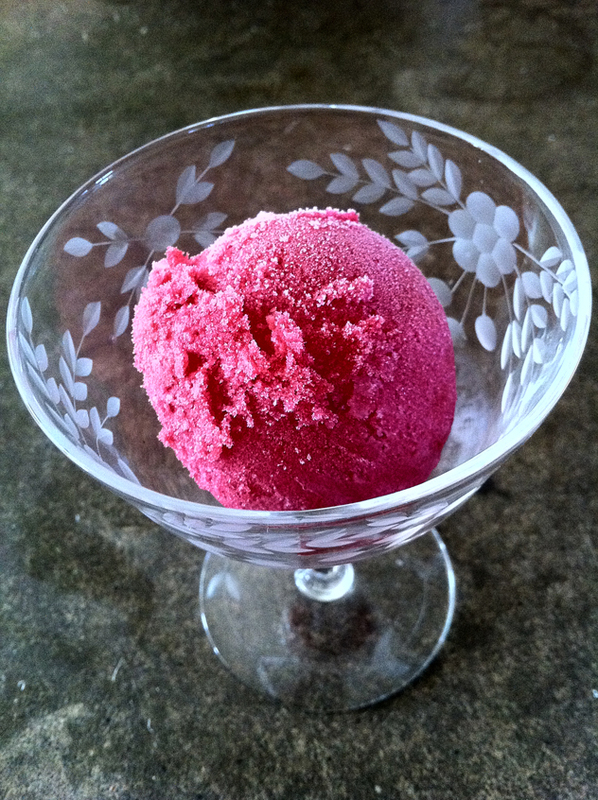 This sorbet has an intense red currant flavor ( not too sweet) followed by a hint of vodka. I think the red currant and a vodka flavor go well together. 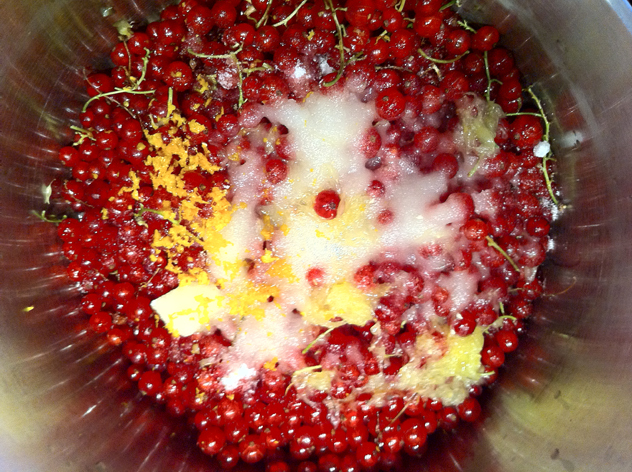 Place red currants, orange juice, zest and sugar in a pot on the stove. Take a potato masher and mash the currants. Set temperature on high until it comes to a boil then turn down to medium heat. Cook for 10 minutes. Remove from stove and pour mixture into a cheese cloth/ strainer to remove 4 cups of juice. If you don’t have exactly 4 cups of liquid just add enough water to make 4 cups. Refrigerate for 2 hours. Once the juice has cooled down add ¼ cup of Vodka. Place juice in sorbet/ ice cream maker and follow instruction for making sorbet.